I’ve been using the Samsung Galaxy Note 8 for the past few hours so I thought of posting my initial impressions of the device. I’m actually not that excited for the device unlike the way I felt for the Galaxy S8, but I am excited for Samsung because they’ve cemented their status as the comeback kid of 2017. Holding the Note 8 is like deja vu. I felt it has the same thickness as the Galaxy S8+ and even the Galaxy Note 7. 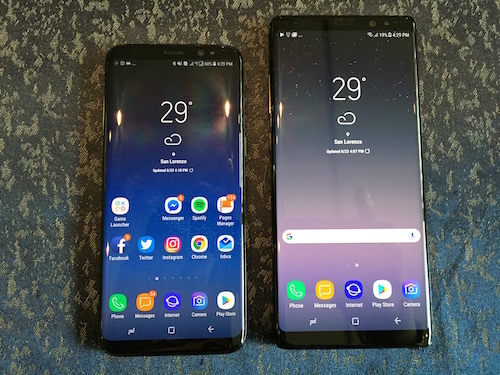 The difference I see between the S8+ and the Note 8 is its curved screen which is more refined while the latter is less rounded in order for the S Pen to fit inside. It’s comfortable to hold but it can be a bit slippery sometimes. My slight issue here is the phone being a fingerprint magnet, but wiping it off with a cloth should do the trick. I think Galaxy Note fans will appreciate the big upgrade in the display: a massive 6.3″ Quad HD+ Super AMOLED screen. 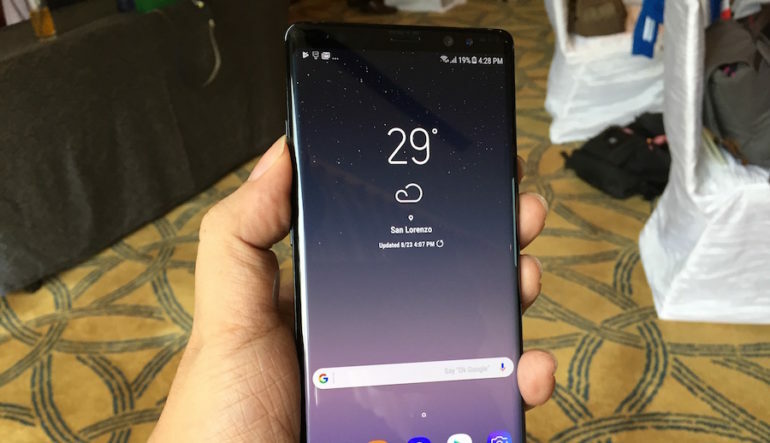 Just like the S8+, the almost bezel-less big screen size is one of the main features of the Note 8 without making it physically big. 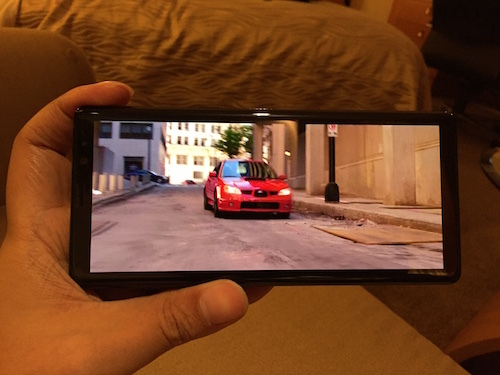 I loved watching movies on the S8+ before and after watching the full trailer of Baby Driver, I am pretty sure that I’ll enjoy watching videos on this phone. I reckon that video streaming apps like Netflix won’t be able to maximize the Quad HD+ resolution, but I hope they’ll provide updates in the future now that two phones have this screen resolution. The Note 8 can still fit inside my jeans pocket and one hand navigation for SMS is doable. You would need to use the other hand though to swipe the navigation bar from the top. 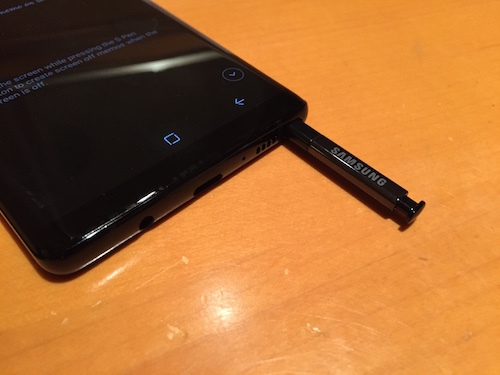 The S Pen can be inserted into the silo whichever side you choose. This was actually fixed in the Galaxy Note 7 last year. The processor hasn’t changed so it is expected to rank high on Antutu. I’m a Qualcomm fan but I’m good with Exynos based on my years of using the Galaxy S and Note series. 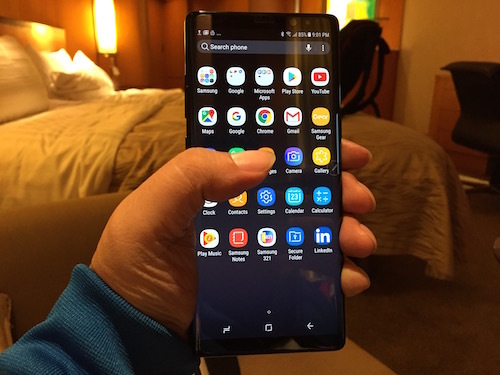 In terms of software, the User Interface is pretty much the same as the Galaxy S8. Swipe up to reveal the apps and swipe down to go to the home screen. Edge panels are still present (if anyone really uses them) to add shortcuts for contacts, calendar items, memos, etc. 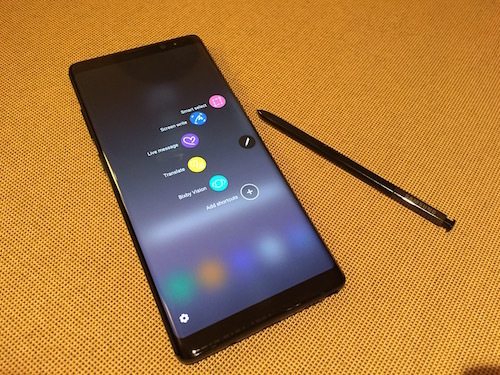 The new addition to the S Pen features are Live Message and Bixby Vision. Live message can let you scribble or draw and send it through the messaging app while Bixby Vision is Samsung’s Virtual Assistant that can do language translation, landmark recognition and quick access to online shop. I tried Bixby Vision and tapped on an image which was taken by the Samsung Galaxy S8+ I reviewed last summer. The search results I got were too far from the original location of the photo which was at Jaime Velasquez Park in Makati City. I’m not sure where their search database are connected to (I really thought it was Google), but I hope they can improve this soon. I will be installing games later and will test it further for the next couple of weeks. 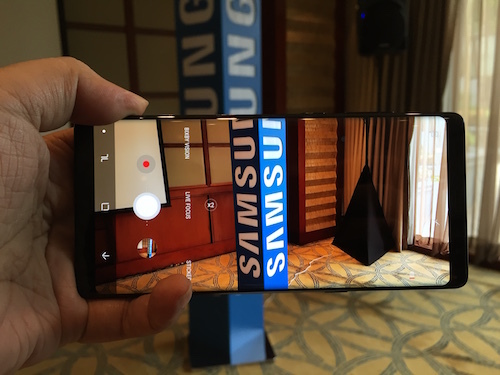 Overall, the photos taken by the Galaxy Note 8 looked really great. I’ll be using the Samsung Galaxy Note 8 as my main phone for the next few weeks. Expect a full review by then.